Memorial Day is our nation’s day to honor and remember people in the military who have died in service of our country. While the origination and intention of this holiday is to honor those who have made the ultimate sacrifice for our country, as a national holiday, people also take this day as an opportunity for travel, relaxation and spending time with family and friends. With the spirit and purpose of this day in mind, here are some ideas that are worth your time and provide service to those who have served us. For many, this day is associated with decorating the graves of soldiers with flowers and flags. 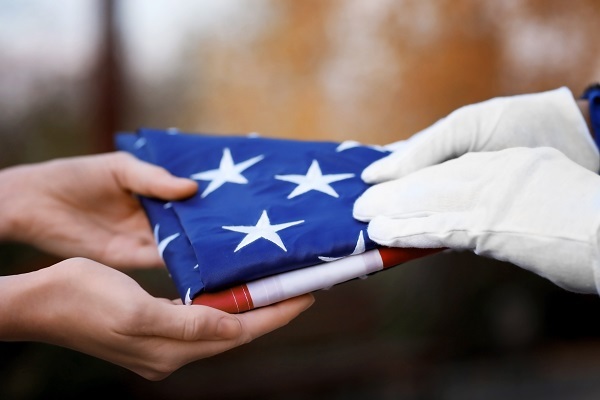 You can choose to bring flowers and flags to a VA National Cemetery or a State Veterans Cemetery. Make the trek to Battleship North Carolina to observe Memorial Day with a Color Guard, 21-gun salute, and military speaker. The Salvation Army Durham takes monetary donations, as well as donations of property whose proceeds go toward doing good for people who need help, including services to Veterans. Donate to Veteran causes, such as CASA, which construct high quality housing for low income and homeless clients, including 20% to Veterans in need of assistance. Volunteer with Veterans. Volunteer Match has listings for 57 volunteer opportunities across the state that benefit Veterans and Military families. These are agencies across the state that are looking for volunteers for charity events, interaction and support of Veterans, matching shelter animals with Veterans, serving Veteran patients in medical facilities, assisting homeless Veterans, Habitat for Humanity benefitting Veterans, and hospice services. Further, the Durham Veterans Affairs Health Care System offers numerous volunteer positions to assist the VA and Veterans in need. This includes driving veterans to appointments, performing various clerical duties in VA facilities, sit and visit with Veterans in hospice, assist medical staff, greet patients, and guest assistance duties. Volunteer of America of the Carolinas is the state chapter of a national organization that provides transitional housing services to homeless veterans. This includes their program and facilities at Maple Court in Durham. Their volunteer opportunities are “tailored to your time availability, skills, interests and the needs of the veterans housed at Maple Court”. New Direction Family Law is a family law firm that assists clients through separation, divorce, property division, alimony, child custody, and child support issues. We have years of experience in this area of law and utilize our experience and knowledge to provide effective representation. Our attorneys are passionate and hard working and want to serve you. Our office covers Wake, Johnston, Durham and surrounding counties. 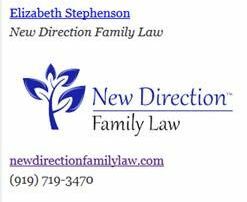 Contact New Direction Family Law at (919) 719-3470 to schedule a consultation or reach us online through our website.